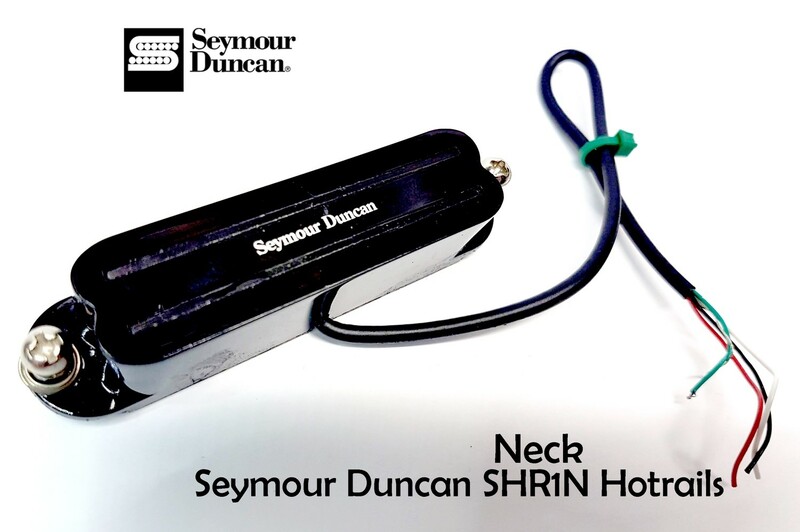 The Hot Rails neck model uses a strong ceramic magnet and overwound coils to deliver big sounding, well balanced humbucker tones for rock and metal. Clean tones are fat and warm, and solos will have that thick, fluid feel. The dual blade construction gives you the ultimate string coverage, especially for notes that are bent on the highest frets. The Hot Rails for Strat is a drop-in for any standard single coil pickup route.Pair with our Hot Rails Strat – bridge.Hand built in Santa Barbara, CA, the Hot Rails for Strat comes with a 4-conductor lead wire for multiple wiring options, and is wax potted for squeal free operation.